AIA Sec. 10(i)(2) SUNSET.—The authority of the Director to set or adjust any fee under subsection (a) shall terminate upon the expiration of the 7-year period beginning on the date of the enactment of this Act. The AIA was enacted on September 16, 2011 — thus, the 7-year period ended on September 16, 2018. Under under this now historic provision, the USPTO was essentially given discretionary authority to set its own fees with the caveat that the fees be set in “only to recover the aggregate estimated costs to the Office for processing, activities, services, and materials relating to patents.” AIA Section 10(a)(2). Prior to 2011, changes in fees or the fee structure required a specific Act of Congress. 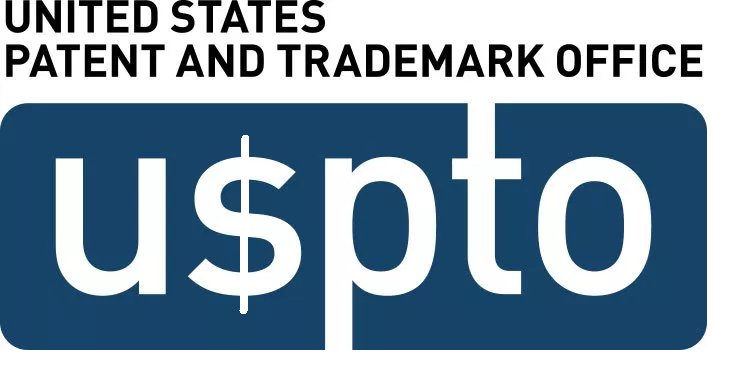 The USPTO is currently receiving comment associated with a proposal to shift some of its fees. However, the Office does not have authority to restructure those fees without first hearing from Congress and the President. What’s happening is patents are worth about 20 percent what they were before the AIA. Fees are going up. Patent attorneys are not doing that great with the salary and many corporations are cutting back on patents. The number of utility patents going down from US sources is masked by the massive numbers of utility patents being filed from CN sources. What is going to have to happen at some point is a reckoning where the PTO personnel are paid less or we will go into a mini-de ath spiral with the higher fees cutting the number of patent applications, which requires more fees. That is where we are. Again, if there is a big downturn in the economy, I’d expect about a 40 percent drop in the number of patent filings. Patent money is now on the table for quarterly earnings and the average VP sees patents like junk paper. What people don’t realize is that patent budgets have not gone through a recession since the passing of the AIA. Watch out. Not sure where the bottom is but there is going to be massive cutting — massive. I’d bet that at least one of the top 30 patent filers cuts their budget by 80 percent. N.W. this not to disagree with your other prognostications on US patent budget cutting, since we are overdue for another recession anyway, and the trade war could trigger it. This is just to note re your statement that: “The number of utility patents going down from US sources is masked by the massive numbers of utility patents being filed from CN sources,” that I recall the Commissioner of Patents saying a few months ago that the ratio of U.S. applications from foreign versus U.S. origin sources has NOT significantly changed. Do you have different statistics? See my comments on the posts by the good professor in which “linear” graphs misstate the actual state of things. For example, in those posts, the “demise” of the individual inventor was greatly exaggerated (quotes from Mark Twain float in my head). Huge drop even? Quite possible. But the larger context and numbers still need to be taken into account. To be honest Paul, I really am not sure. What I know is that I can’t find the statistic. I know anecdotally that many people are filing US patents from CN inventions as a first filing. So what bothers me is we don’t know the numbers. I think too Paul that it is worse than what we have been told. And just from talking to people that control budgets, I think that the budget for patents is very vulnerable. I think in the next recession that the big corporations are going to prioritize making that quarterly earnings number over a patent budget. It could be a blo od bath. Suspect this Bill may pass on the consent calendar out of necessity? The alternative would require optimistic faith that this dysfunctional rabidly polarized [even inter-party] Congress could ever agree on all the various PTO fees if they have to do it rather than the PTO? Good points – Congress is especially dysfunctional (and certainly is part of the problem in not curbing the excesses of the judicial branch). There’s also a pending bill that would finally make PACER free. After years of using PAIR, I was shocked to learn not only that PACER charges per document, but that its charges accumulate pretty quickly. Reminded me of CompuServe back in the 1980’s. After years of using PAIR, I was shocked to learn not only that PACER charges per document, but that its charges accumulate pretty quickly. Reminded me of CompuServe back in the 1980’s, or Westlaw from 2001. Really not appropriate for a taxpayer-funded, “public-access” government service. Agreed. Especially since this is often the first way one finds out one has been sued and for what. It’s about ten years past due. I agree with that MM. Maybe Google could get that done. were to have been rigorously applied over the term of the original change in law. Agreed, it’s not like we’ve been getting better service since the AIA came into force. To the contrary, I see tons of administrative abuse. Try dealing with the non-English-speaking blobs in pre-exam, or with the petitions office. And why do my PCT national phase filings now have to wait 3 months or more for a filing receipt? The AIA: slower, more expensive, and far less certain end product. Exactly what the Efficient Infringers wanted. I have a few examiner friends, and it seems that jobs like Petitions at the Office are ones that everyone wants – they’re GS-15 (pay more than examining) and require less work. So, with all that demand, should Petitions be able to have their pick of highly qualified examiners? If the Petitions Branch had strict fast time deadlines for responses, as it should, it should not be less work. Also, does it not require a law degree? Surprisingly, no, no law degree required. Petitions includes both attorneys and non-attorneys in the group. Up until 2004, the cost of filing an ex-parte appeal was $600 ($800 with oral hearing). Today, the same service costs $3,040 ($4,340 with oral hearing). Nobody has ever explained why the “aggregate estimated costs” for PTAB appeals has gone up x5 fee increase over the course of 14 years. I’ve concluded that the PTO has been trying to price its way out of its appeal backlog. I wonder which agency outside of the USPTO has fallen down as to making sure that what the USPTO has been doing complies with the caveat. Yes, PTAB staff had to be very greatly increased to work off years of accumulated backlog of ex parte appeals, while also having to replace APJs reassigned to IPRs. Also note that these days $600 buys less than 1-2 hours of junior attorney time at normal commercial rates, and all PTAB APJs are attorneys, so $600 could not possibly cover appeal costs. The attempt to link payments to actual costs in the various PTO business units is rather recent. The cost of an appeal used to be covered by, in the main, maintenance fees. Before maintenance fees, by Congressional appropriation. I’ve concluded that the PTO has been trying to price its way out of its appeal backlog. This is my conclusion as well, but should we not expect this? If folks are demanding more of a service than can presently be supplied, the logical reaction is that prices for that service should rise until the supply and demand come back into balance. You’re talking about the rationing function of pricing mechanisms to correlate supply with demand. (1) Pricing works well in markets with fungible goods – apples, pencils, calculators, etc. – because elevated prices encourage the expansion of supply: current suppliers produce more output, and/or new suppliers enter the market. Either way, supply is expanded in a manner that alleviates shortages and reduces price. That mechanism breaks down for monopolies, in which a single supplier completely controls supply and sets its price. A monopoly has no competition, and therefore no pressure to reduce prices. Instead, it sets prices at an elevated level that maximizes profit. Sometimes, that price won’t even sell out the entire availability of the product. Needless to say, the USPTO is a monopoly for ex-parte appeals of patent applications, with complete control over its price. Hence, there is no pressure by the market to reduce prices. (2) Price-based rationing depends upon the freedom of consumers to choose whether or not to buy the product. If the price is too high, consumers of apples can choose to eat fewer apples, or to eat oranges or pears instead. The apple-growers have no control over hunger. The functionality breaks down when suppliers have undue influence over demand. For instance: In the 90’s, Microsoft dominated desktop computing OS software – 95%+ of the market – and it leveraged that fact to wedge Internet Explorer into the web browser market (then dominated by Netscape). Essentially, it manufactured a 100% demand among Windows-based users for a web browser, which it then satisfied by installing IE automatically with Windows. This artificial control of demand was declared an illegal tying relationship. In this case, the USPTO controls not only the supply of ex-parte appeals but also the demand for them – in the form of the examining corps’ office actions. This goes far beyond the patentability decision: a well-crafted § 101 or § 102 rejection does not create demand for an appeal, but a badly written § 101 or § 102 rejection does. And I 100% believe that many examiners rely on the deficiencies of the ex-parte appeal process – painful, protracted, and examiner-friendly as it is – as a crutch for forcing applicants to accept materially defective office actions. Furthermore, ex-parte appeals are a last resort. The applicant isn’t merely weighing the costs and benefits of such appeals vs. other mechanisms for advancing prosecution: it’s appeal or withdraw from the patent process. This is very similar to the monopoly-leverage scenario in Microsoft v. US, where the alternative to not getting IE installed by default was to not use a Windows-based computer. Patents, obviously, are a constitutionally guaranteed right. The government requires applicants to use the USPTO to exercise that right, and when examiners obstruct that right by not following the rules, applicants are forced to appeal. Regulating that step via price controls is, quite plainly, a violation of the constitutionally guaranteed right. Patents are NOT a Constitutionally guaranteed right. The Patent Clause dictates which branch of the government controls patent law — IF patents are put in place under the law. “Shall have the power” dictates the power, but does not dictate that THAT power must be used. Congress could well decide to NOT have a patent system at all. A fair point, anon. However, the grant of power comes with an obligation to use it. I can imagine a future in which Congress decides to scrap federal taxation altogether. I think that some interesting discussions about whether Congress has an obligation to establish federal taxes, or merely a privilege to do so, would come up at that time. … necessarily impacts just how that property right (NOW that it has been created) may be treated under the Constitution. ** and I would avoid the use of the word “privilege,” as they carries its own connotations which will only confuse here in this context. Sure, I buy that. I’ll concede this one to you. So points (1), (2), and (3) as amended by your description all still stand for Greg’s consideration. Most APJs are at the statutory cap of base pay at $174,500 per annum. Benefits such as health care, FICA, 401(k), etc., brings total compensation to the neighborhood of $230k. Each APJ working exclusively on an ex parte appeal docket is expected to author about 100 decisions. As a fair estimate, each of APJs 2 and 3 on those decisions will spend, on average, about 25% of the time on a case as that of the author. That means that the professional, rank-and-file cost of the 100 cases is about $230k * 1.5 = $345k, or $3,450 for each ex parte decision. But then there there is the added cost of light, heat, rent, computer equipment, pencils, training, travel, etc., for each APJ. Add clerical and administrative costs (at least screening and docketing of the 100 cases), and you still have a bargain. And that’s without accounting for the immense, hidden supervisory costs of supervising APJs, reviewing decisions, and stacking panels. Interestingly, there is but one larger “in the aggregate” pie. Take a bigger slice here necessarily means a smaller slice there. And STILL the only funding for – the only inputs into – that pie are what innovators pay into the system for examination. Which makes ironic every dollar “skimmed” from examination dollar inputs into a mechanism to remove that which examination first delivered. The PTO is still seeking public input on the proposed fee changes. If what you are proposing is a big increase in application examination-prosecution fees and a reduction in other fees, that may make sense but I doubt if many others would support it. I am proposing no such thing. I AM proposing for visibility and accountability (per the caveat that came with greater ‘spend’ control by the administrative agency). I am ALSO proposing that acknowledgement of where funds come from should be made (and as well reflect that inputs DO come from other than innovators paying for examination – my error in that over-statement). I think you misread his comment, it appeared to me to be saying the opposite – that most applicants are paying for examination, but their money is going to other things. His goal would be to have examination fees go towards examination, and raise OTHER fees to cover the other things the PTO does.
? Have you ever compared what the US PTO charges for application examination fees with what a half-decent prior art search costs from a professional search firm? That’s a non-sequitor Paul to what the Office spends. What any third party spends in their prep work for IPR’s is expressly NOT a part of the equation here. That is correct as to the likely course, ww. But I will first settle for clarity in the tracking and verification of where which money goes where. At that point we ALL can see that the spin from Head IPR Cheerleader Paul has things backward (as well as expose the fallacy of attempting to use Post-grant mechanisms as any real type of examination quality improvement tool that certain people attempted to sell them as).